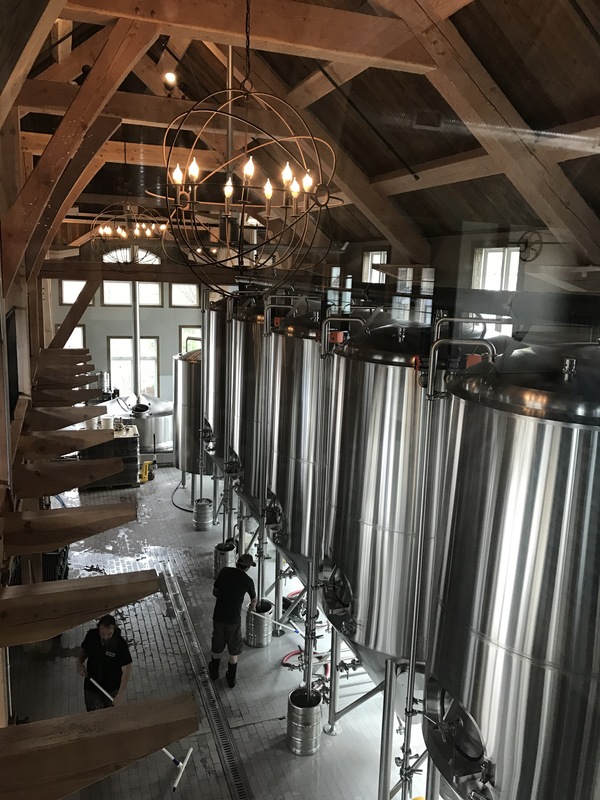 Located in the “Aspen of the East” Ellicottville, NY, Ellicottville Brewing Company is considered one of the finest American craft breweries. 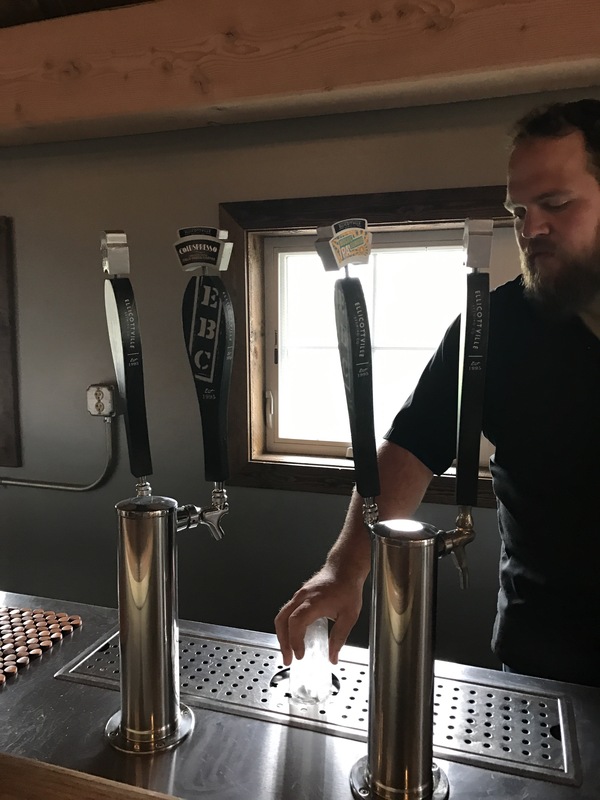 On one of my visits to my hometown area of Western New York I had the chance to take a drive down to Ellicottville Brewing Company, where I took a tour and did a tasting with one of my BFFs. 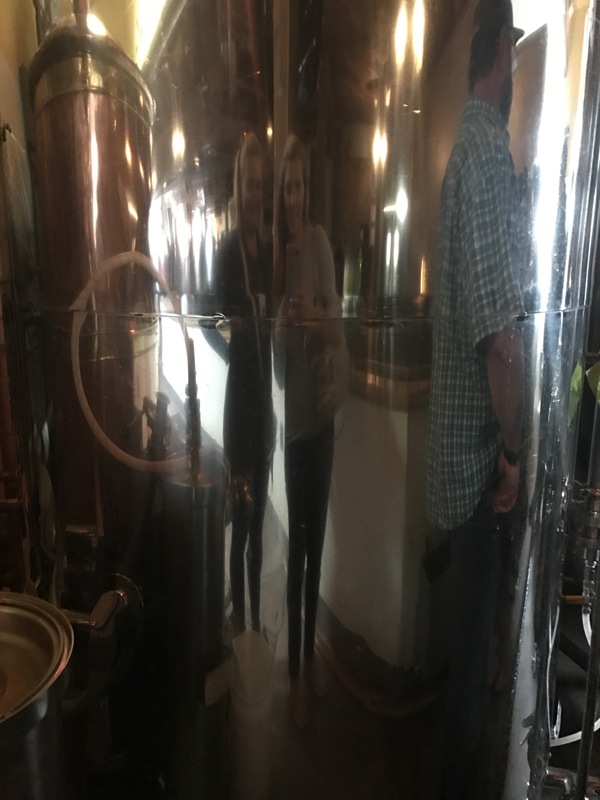 Carolyn and me, seeing ourselves in one of the original brewing tanks. Isn’t it pretty? They moved it from the original location to the new location, which opened in 2013. I was already familiar with their delicious EBC Blueberry Wheat, one of their first beers. It has just the right amount of blueberry and even non-fruity beer drinkers will agree that it’s delicious. 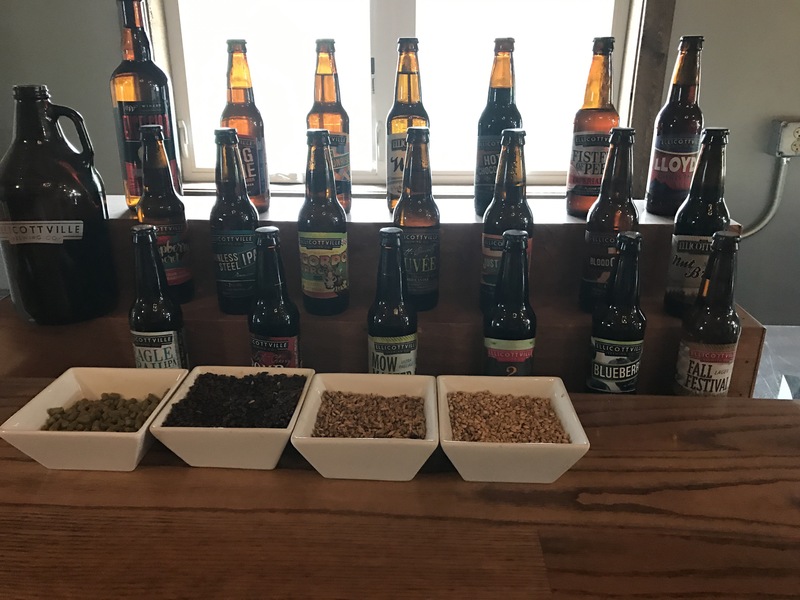 I was so excited to try the rest that we decided to do a tour with a tasting. 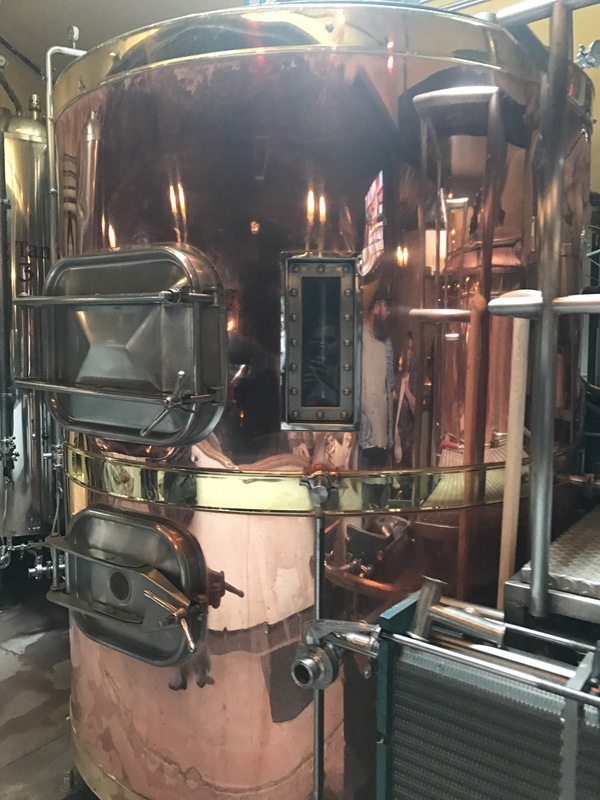 The tour began downstairs, by those gorgeous copper tanks. Then we headed upstairs to the banquet area before heading into the brewery. I totally want to plan a party here! 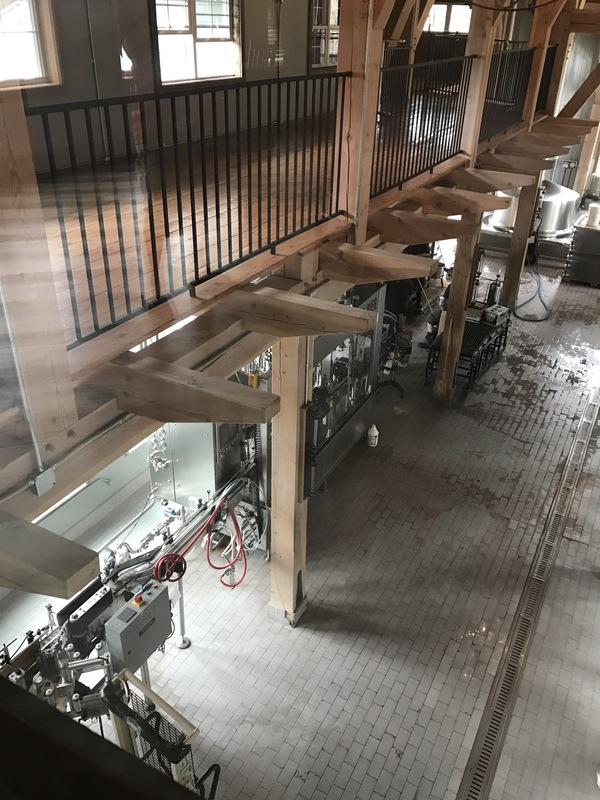 Overlooking the brewery from the banquet space. 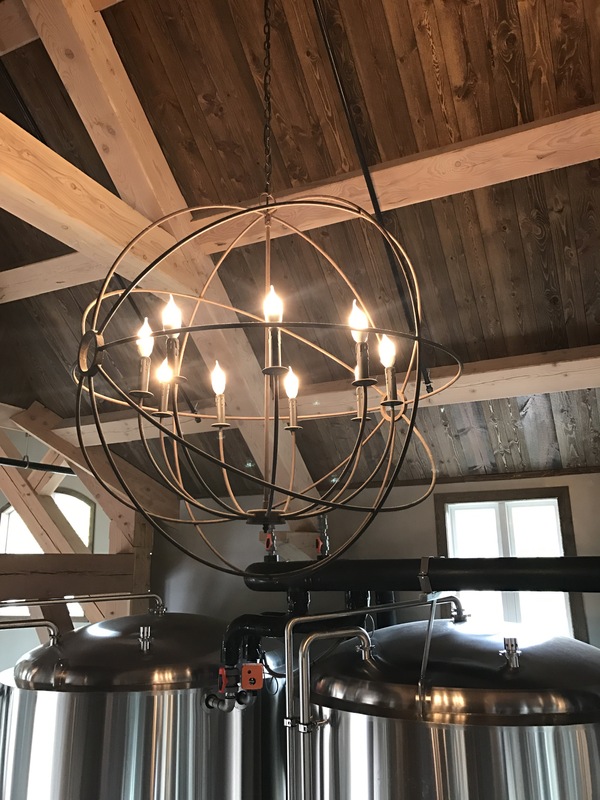 Check out that chandelier! 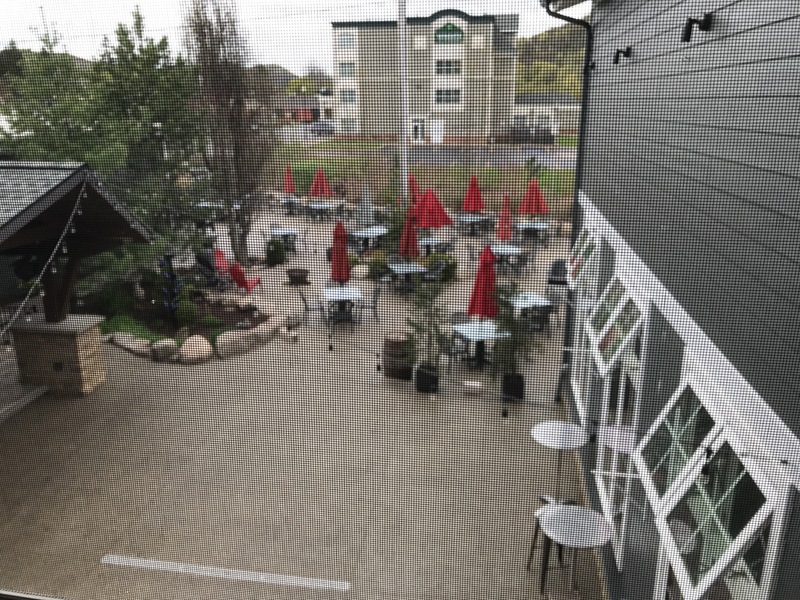 Outdoor space from the second floor brewery window. Our wonderful tour guide (who isn’t the usual guide but did a fabulous job!) serving our tastings. 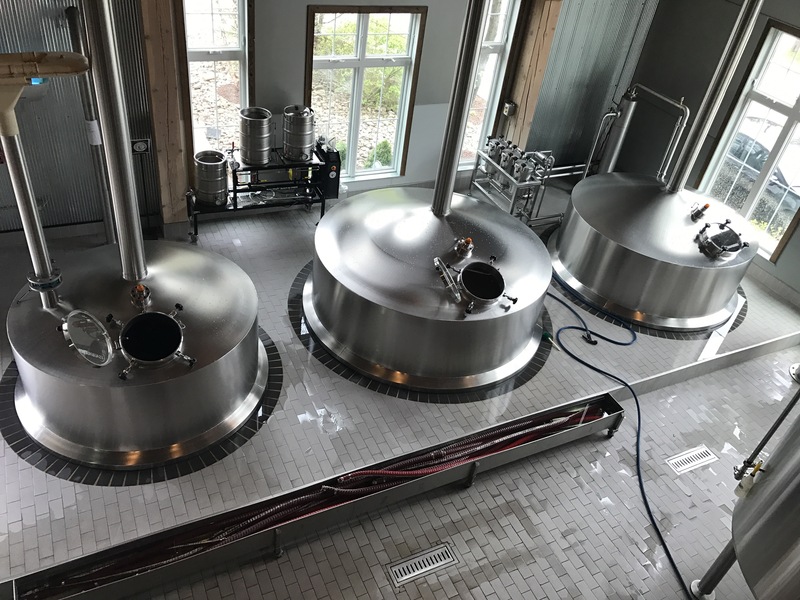 All of the beer they make. Mini brewery inside the brewery. On Sundays, one of the brewery employees comes in and tries out different recipes. On our tour, we were lucky enough to try a test brew, unofficially called 619 Bros, and it was my absolute favorite beer! It was an unfiltered wheat beer and I was obsessed with it. Please make it a regular brew!! At the end of the tour we headed down to the tasting room, where we (obviously) had some more delicious beer. They also offer a food menu, but we weren’t hungry. 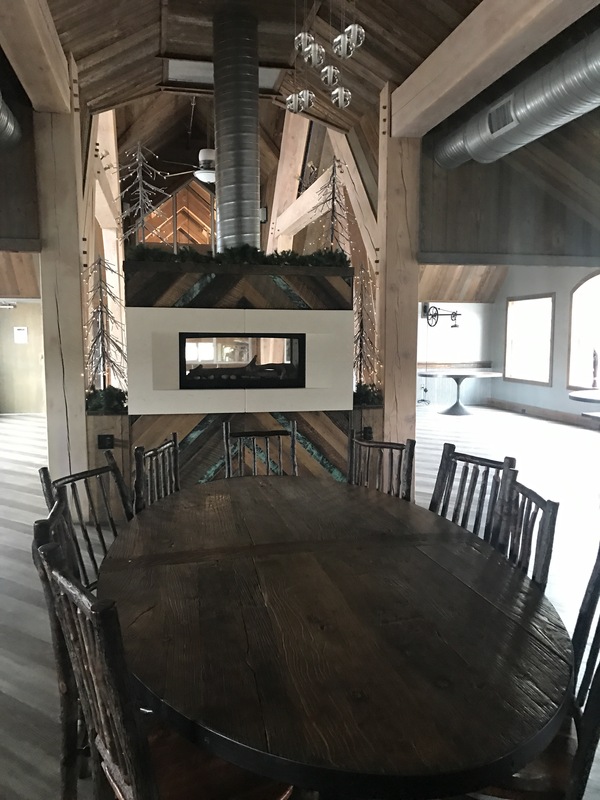 The dining area was really neat and I could see myself spending hours there with friends! 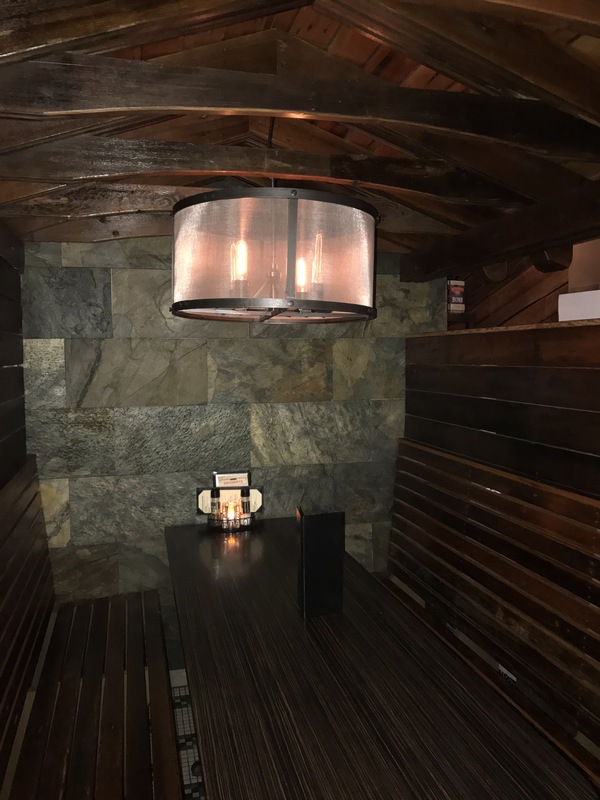 How quaint is this little booth? I love it! 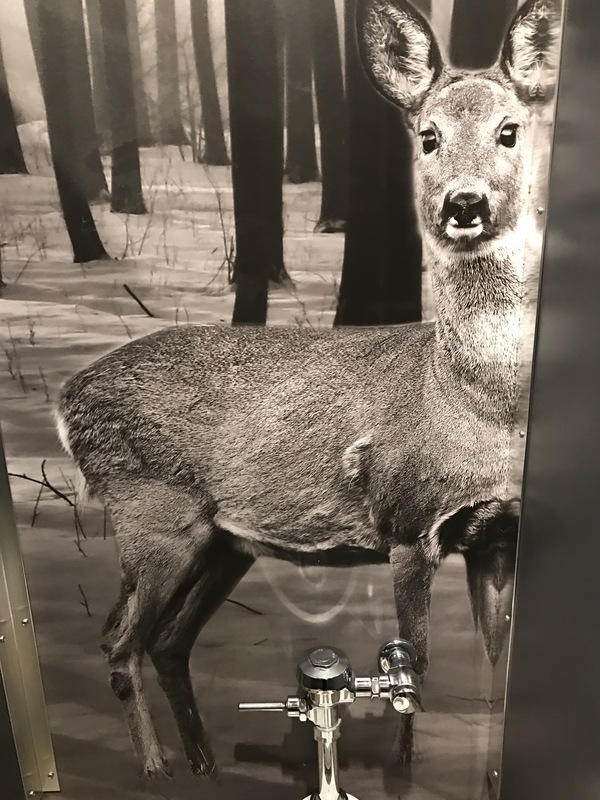 The bathroom, however, had a little surprise. If you look over your shoulder, you’ll see this little guy watching you!! 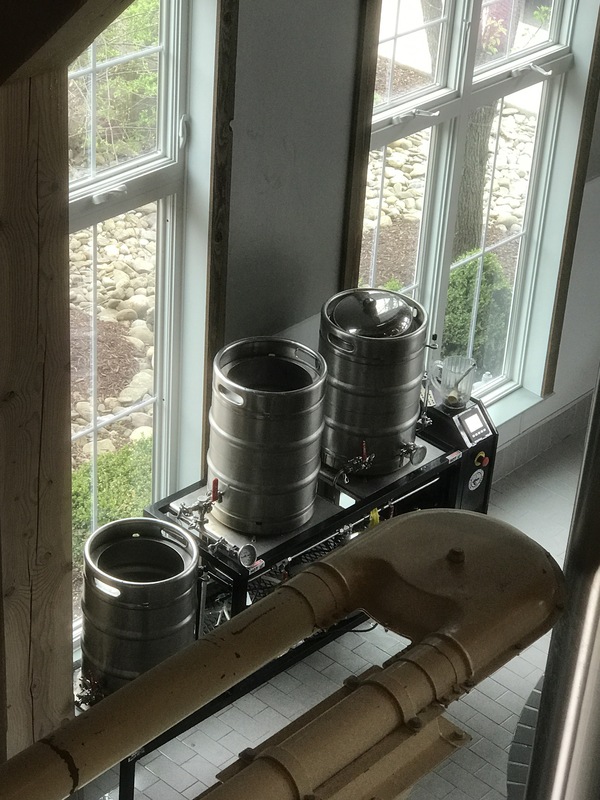 I highly recommend checking out Ellicottville Brewing Company. Ellicottville is a great little town and would make a wonderful winter getaway spot! Add it to your list!